TCE is now offering two versions of our popular 4 wheel F250 Kits. Our proven Plus 1 kits are ideal for those looking to improve braking for their daily driver needs and need to fit 20" wheels. 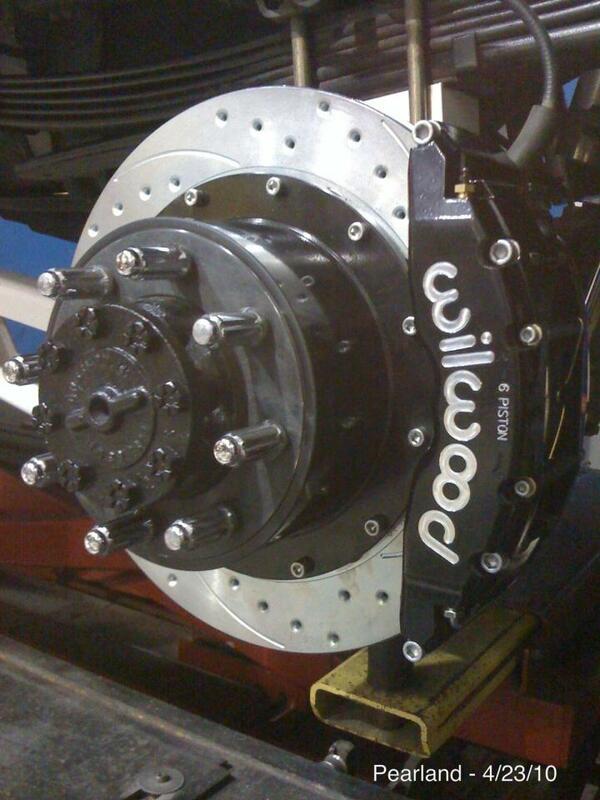 The new Plus 2 kits use the new Wilwood TX6R caliper. This monster is not only larger and beefier than the standard TC6R but has roughly 15% more cubic pad material for longer life and heat rejection. For those placing higher demands on your truck the TX6 has more piston area for greater clamping force and less deflection under high pressure. But it comes at a price: it will require 22" and larger wheels due to the caliper body mass. DRW customers: TCE can manufacture to suite: an additional cost of $150 for the rear and 2wk lead time. Which one is rigiht for you?? For the street enthusiast and light to moderate towing user the Plus 1 kit is ample for your needs. For those with greater load capacity needs TX6 and it's greater clamping force is worth a consideration. Both share the same 16" rotor so thermal mass remains the same. The TX6 will also have a softer pedal feel with it's piston area and compromise wheel diameter and spoke clearance to a greater degree. 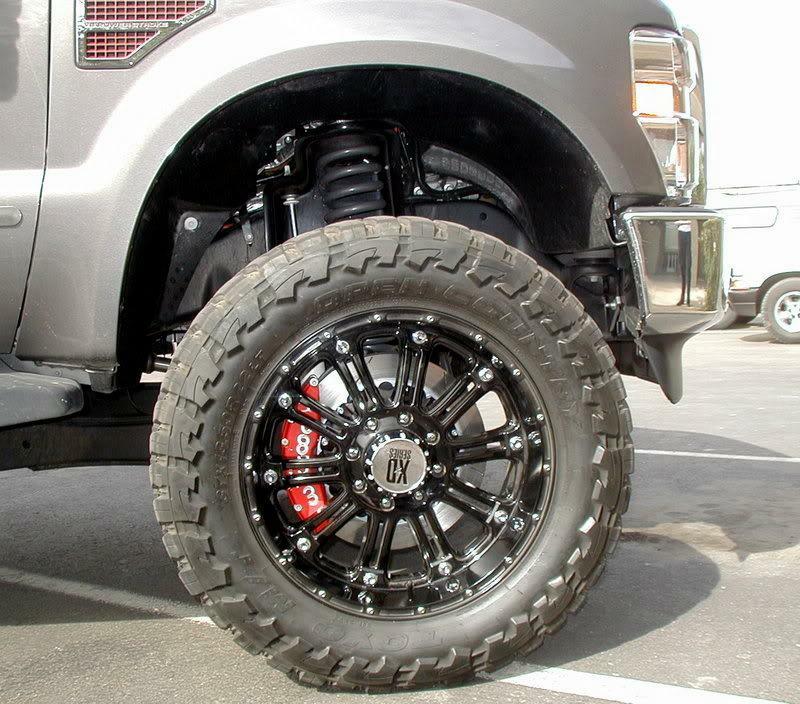 Application: Our massive 16" Front kit is ideal for all F250 and F350 Trucks where improved braking response and greater fade resistance is desired. 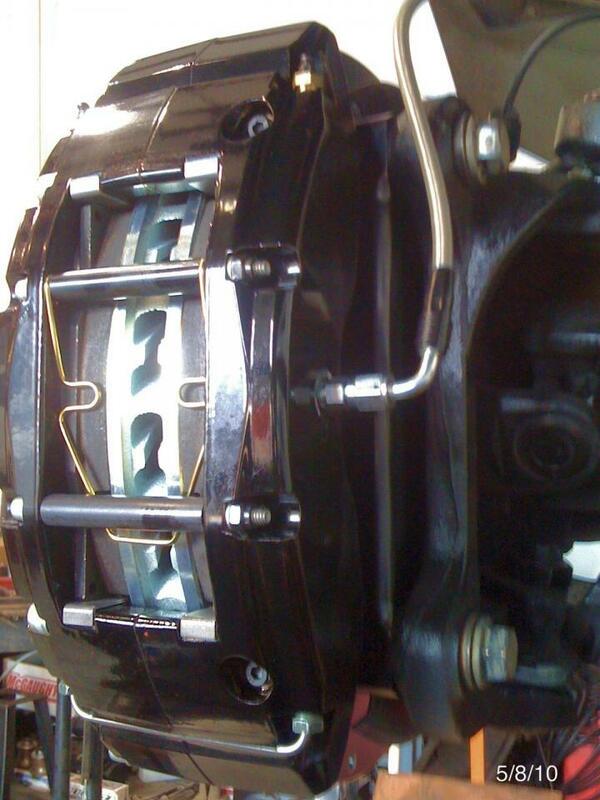 Massive six piston calipers assure balance clamping forces for long pad life and minimal taper. Notes: Does not fit 2WD trucks. Front hose are about 30" long. 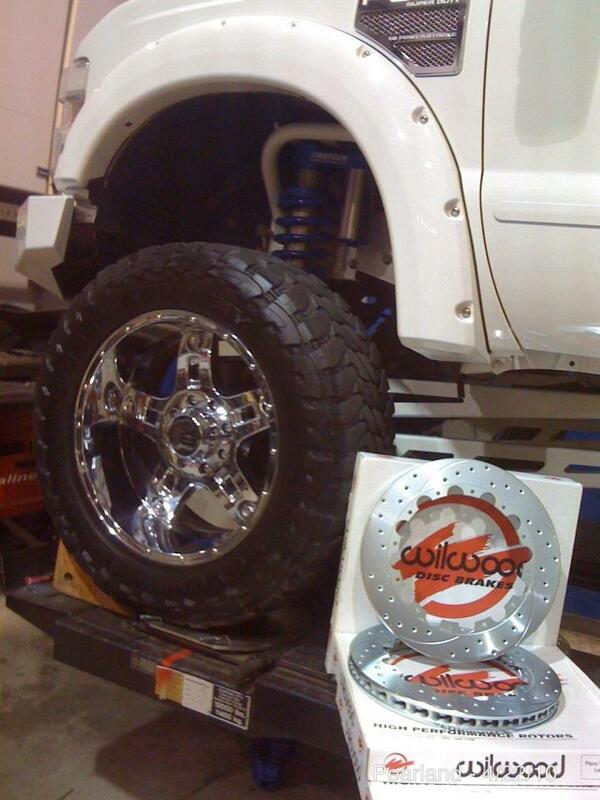 We stock two longer sets for lifted trucks: +2.5" and +4.0" longer. APPLICATION: The newest version of our 16" front kit. Fit now with the new and beefier TX6R calipers this kit is a bit more durable in caliper design for those requiring more high pressure situations. The TX6R has more piston area for greater clamping force and a dirt wipe is added to the piston to prevent contamination when installing new pads. The pad is both larger and thicker for yet longer service life. FIT: Requires 22" or larger wheels. NOTES: Longer +2.5" and +4.0" front hose kits available for high lift applications. Application: The matching rear kit to finish the job! If you tow or haul this rear kit will improve rear brake performance- a necessity when loads are high and braking demands are elevated. 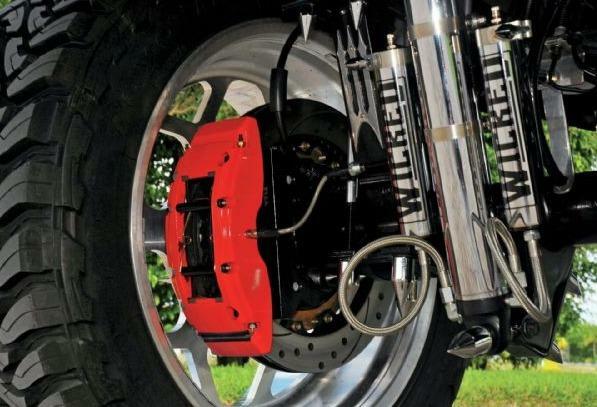 Fade resistant, vented rotors soak up the heat and will assure you the last stop is as efficient as the first. Notes: Retains factory parking brake. Rear hoses are about 9" long and connect to the steel line on the axle tube. Requires trimming of rear dust plate for clearance and minor grinding of rear caliper mounting bosses on knuckle for bracket fit. APPLICATION: The newest version of our rear kit, like the front, used the new TX6R caliper with the same benefits as noted there. NOTES: Requires fairly extensive trimming of the factory dust shield for clearance. Single Rear Wheel only. Rear hoses are about 10" long and requrie "cut and flare" of the existing harline. Select Front, Rear or Combo- Front and Rear. Base kits slotted only, choice of black or red calipers. 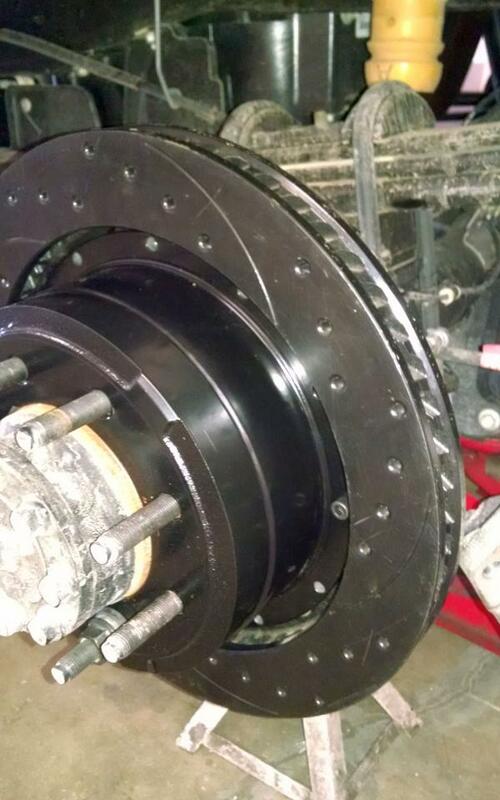 Optional Drilled & Slotted rotors. Flat rate shipping charges applied at check out. 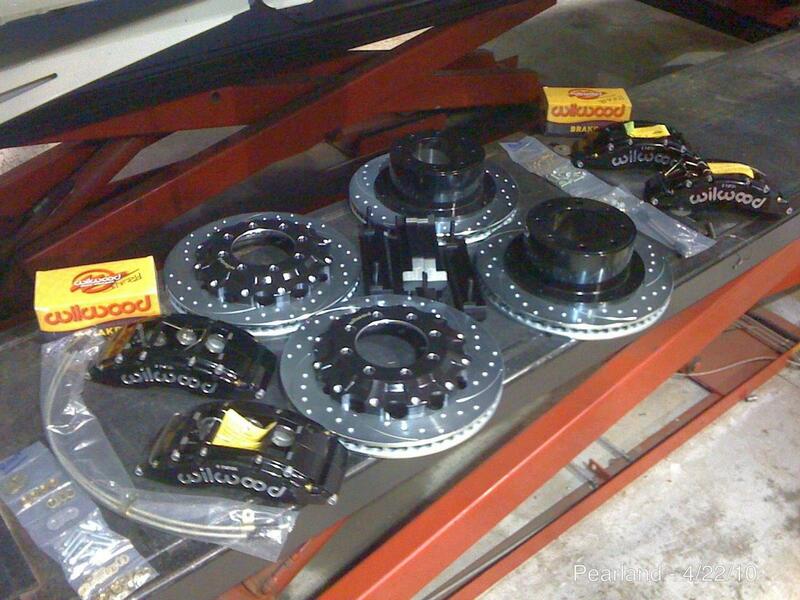 Calipers, pads and rotors drop ship from Wilwood. All other items ship from TCE directly. These kits are produced in somewhat limited quantity. Expect 2wk build time based upon inventory levels. Longer front hoses available for lifted trucks. Select Front, Rear or Combo- Front and Rear. Base kits slotted only, choice of black, red or clear calipers. 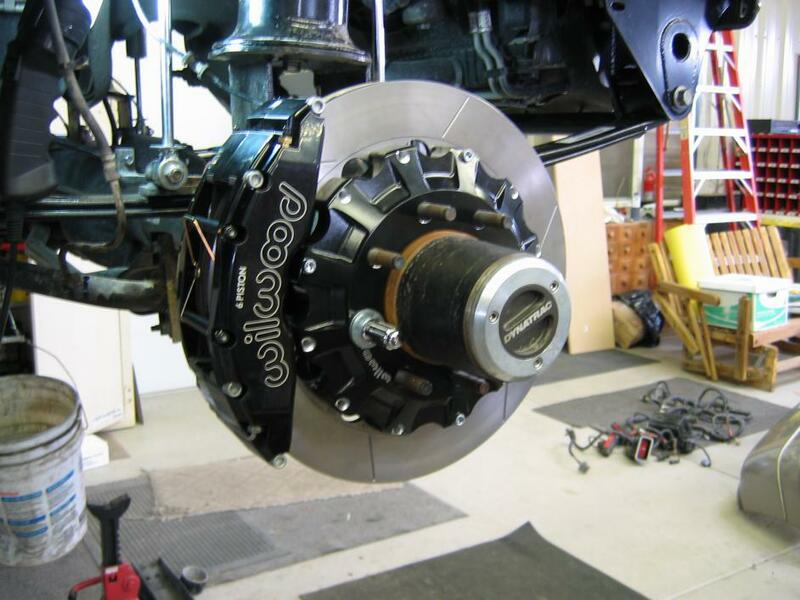 Optional Drilled & Slotted rotors. Flat rate shipping charges applied at check out. 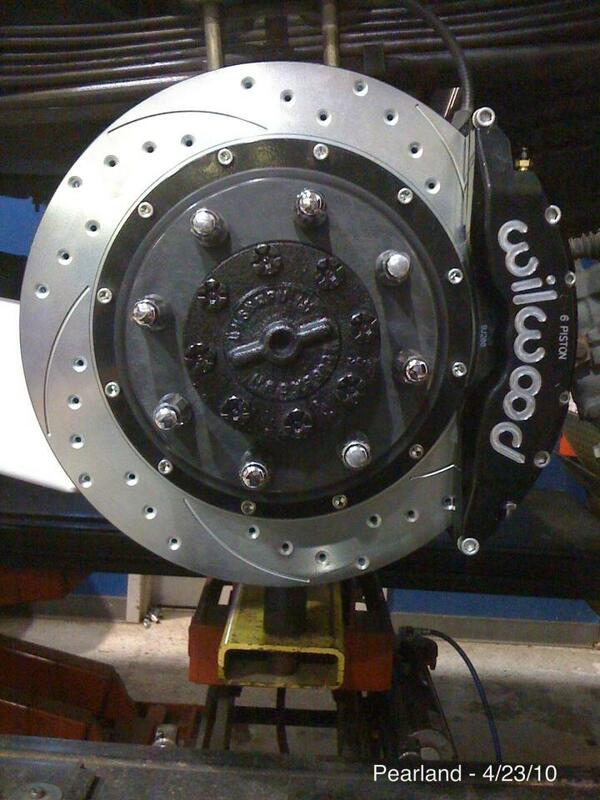 Calipers, pads and rotors drop ship from Wilwood. All other items ship from TCE directly. These kits are produced in somewhat limited quantity. Expect 2wk build time based upon inventory levels. Longer front hoses available for lifted trucks.